Here you can find a strain description about PlantaHaze Auto and also some user-based reviews and infos directly from the SeedFinder (if available). You can also find the offers and auctions here if PlantaHaze Auto cannabis seeds are on stock at MyCannapot right now. 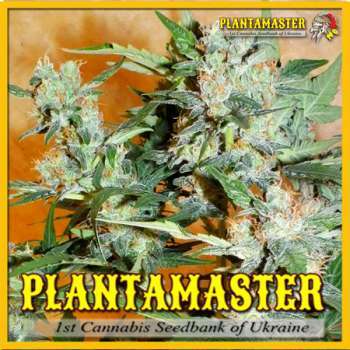 PLANTAMASTER Seeds offers a new variety of medical marijuana PlantaHaze Auto - In 2015 all will appreciate who love Haze as well as lovers of extremely powerful Narkotic. Medical effect of this grade - pronounced antidepressant, but the highest (by far among AUTO COLOR) THC level of 21% in my PlantaHaze Auto in overdose will cause excessive consumer vivid and memorable paranoia. For this reason, for beginners grade PlantaHaze Auto will not work. Grown without problems, does not like excessive fertilizer. Flowering will start automatically in about 14 days from germination. It tolerates LST in Stealth - and CD - growbox. PlantaHaze Auto will allow you to obtain consistently excellent result as when grown in soil or substrate and hydroponics. PlantaHaze Auto is not available at our shop at the moment!